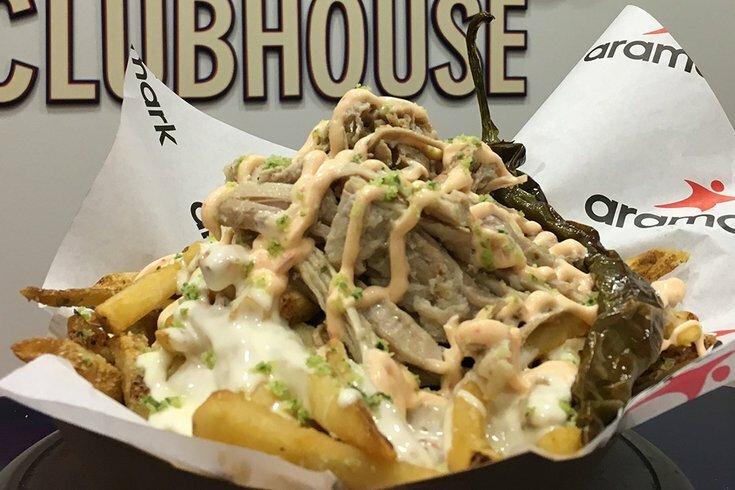 The Italian Roast Pork Stak, a new menu option coming to Citizens Bank Park, features boardwalk fries topped with in-house roast pork; sharp provolone cheese sauce; cherry pepper aioli and chopped, roasted long hots. It's currently frigid and windy in Philadelphia, and I am cold and hungry. So it pains me to be writing about the new food items that will be available at Citizens Bank Park this summer for the 2017 Phillies season. But knowing that a decent amount of you go to the game just as much for the food as you do for the baseball, I realize this is important information. The new Harry The K's Pastrami Sausage: House-cured pastrami sausage, with hickory-smoked bacon red cabbage, topped with tarragon mustard. My initial thoughts: The Italian Roast Pork Stak sounds freaking incredible. I hadn't tried poutine (basically fries with heavy toppings) until the opening of Shoo Fry in Center City, and let me say, I'm a huge fan. So I imagine poutine with roast pork toppings will be amazing. I know a hot dog with bacon exists, but a hot dog with pork roll? Has this been done before? Any double-meat combo is intriguing. 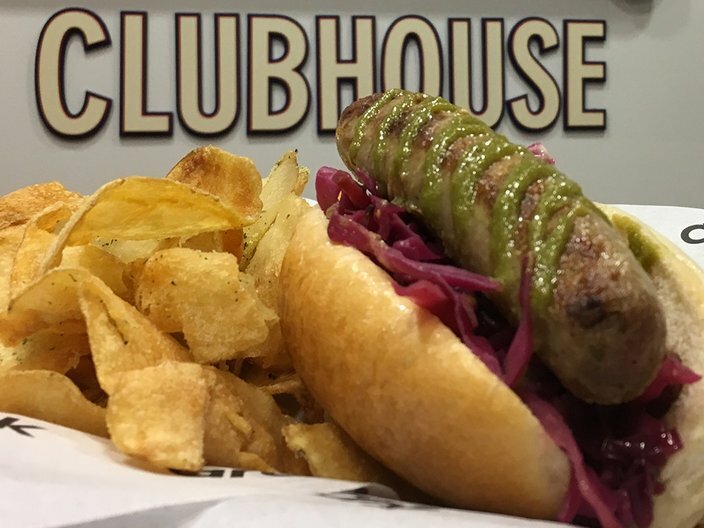 As for the pastrami sausage honoring the late, great Harry Kalas, it sounds good, but the green mustard looks kind of weird (I know, I'm 5 years old). Oh, and finally, the Farmer's Market Grain Bowl: It sounds like a perfectly tasty, healthy option. It's also not something I would ever order at a ballpark.